Tet in Vietnam or Lunar New Year seems the most beautiful scene of the year. However, is it attractive for expats to travel here at this time? Let’s follow the ultimate guide below! To Vietnamese, Tet Nguyen Dan is the most important ritual of the year. It’s the time when all people set aside business and gather with family for cozy meals. It’s said that Vietnamese work hard during the whole year for only a plentiful Tet. That’s why Tet is also the occasions for shopping and renewing houses. 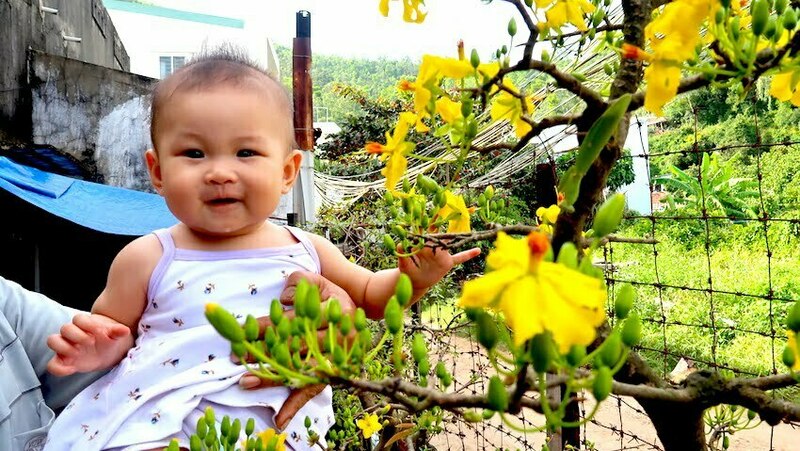 Three main days of Tet Nguyen Dan are the most meaningful days for Vietnamese family. They are busy with happiness; children play around with worry-free of schools. However, it seems only exciting for natives. Will Travelers to Vietnam at this time feel excited? When does Vietnamese lunar new year come into town? Tet Nguyen Dan usually falls in February, when spring is at the middle and flowers blossom everywhere. There is no fixed time to tell, but you can check on the lunar calendar. At this time of the year, it’s a bit cold and windy. Ideal weather for Tet is drizzle. We sense the fruitful and multiply atmosphere surroundings. However, Vietnamese people no longer feel breezing at Tet because the earth is warming. 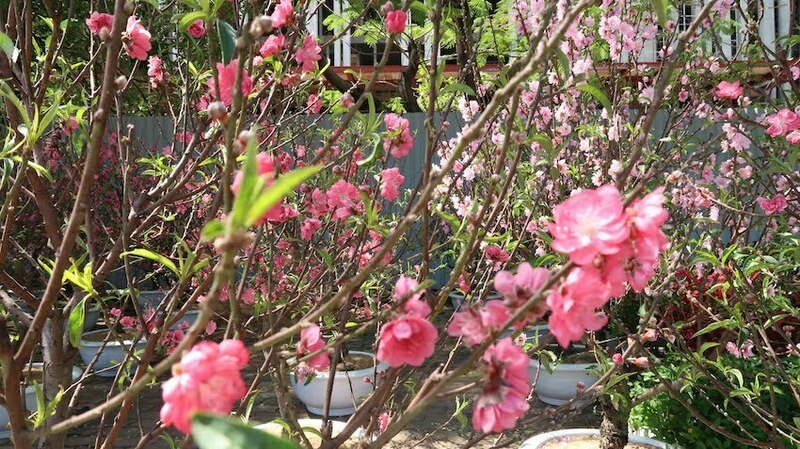 But spring rain at Tet and peach blossom still signal this special occasions. People start to celebrate Tet holiday from 23th of December to the middle of January according to the Lunar calendar. When Tet comes, people start to arrange their job and take a week off. Every family will have to lot to do to get ready for New Year’s Eve and holiday. Let’s check out the traditional schedule for Tet. On the 23rdof Lunar December, it’s time for Kitchen God day. Vietnamese people believe in three Gods in the kitchen referring to an old story. Their job is watching people life the whole year and report it to the king of Heaven on this day annually. It’s said that three Kitchen gods travel to heaven by carp. Thus, on this day, on the market, we see a huge amount of carp for sale in different sizes. People will use the Gods paper cloth, too. In recent years, paper carp are made for sale so that even busy people can perform the ritual. Each family will prepare a feast, carp and paper cloth at lunchtime. They pray to Kitchen gods and wish them a safe traveling. After praying, they will liberate the fish to nearby and set paper cloth on fire. It’s another ritual that people use to send their offering to Gods. Seven days after the Kitchen God day, people come into the most crucial time in Tet. They prepare for the last day of the year. On this day, people have to calculate foods for the upcoming two days because the market will close after New Year Eve. The biggest feast is well prepared. Every corner in the house gets cleaned. Kumquat trees and flowers are set. People wait for the last seconds. People will go to the pagodas for the last time to wish the best for the new year. Thus, travelers to Vietnam see the busiest day at pagodas and markets. You will see streets of kumquat, peach and Plum flowers. The city is buried in the sound of bells and talking. All stations and airport will be full of people. At night, people gather on the streets or house to wait for the Eve. When fireworks bright up the sky all over the country, it’s time we turn into a new year in the Asian way. Elderly set up a tray of fruits, liquor and incense to pray for a happy new year. Youngsters return their house in happiness and hope. It’s the morning after Eve. The street is almost empty in the morning. More people will go out in the evening but not as many as usual. People spend time on cooking and visiting relatives. Usually, the will wait for the first person who steps in the gate with the feast and best wishes. After they welcome that person, they will start to go outside and visit others. Traditionally, younger people will come to the houses of the older in the family. They will enjoy time at home with drinks and foods. All are set, and people spend their whole time with family and friends in the next three days. Vietnamese people seem to have a lot to do on these days. They have fun because this time is only with their families. How about Travelers to Vietnam. They do not have rituals to follow and relatives to visit. How could expats continue their traveling to Vietnam during Tet days? What do expats expect about traveling to Vietnam during Tet holiday? Being a Traveler to Vietnam at Tet might be lucky or not. The key is about how to enjoy your time. Being in Vietnam at this time, you are witnessing the most traditional cultural colour of Vietnam in a thousand years. However, everything will not happen as usual days. You are experiencing differently from what Lonely Planet dictates. Every year, Tet is another picture. If you land on Vietnam on the days before New year Eve, there are more to explore. You will enjoy the festive atmosphere on the streets and restaurants. All shopping malls and stores are at the peak of sale. Streets wear a new decoration. All of the city will blossom in flowers, laughs and happiness. However, if you plan to take trips across provinces, book tickets in advance. Before New Year Eve, people will rush for train and flight tickets to their hometown. Thus, all of the boarding passes are expensive. Worse, you cannot even find a spare ticket because it’s out of stock. Believe us; you do not want to lock in the same city until Tet is over. After Eve, as mentioned above, people barely come out of their house. There is no traffic jam which sounds great because you are not prepared for crazy traffic in Vietnam yet. 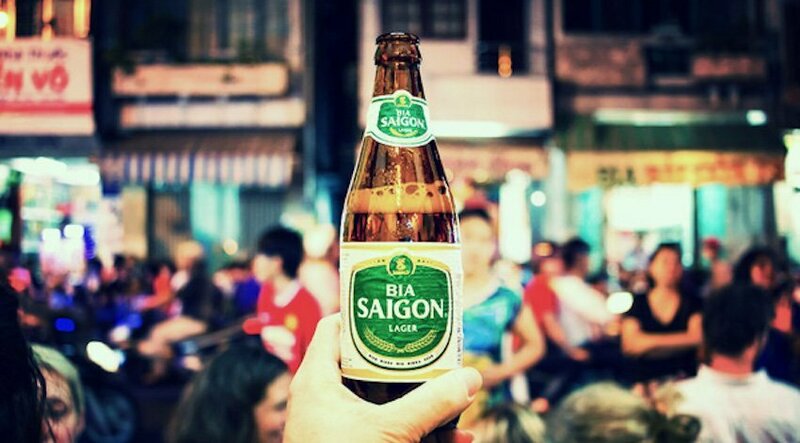 Because streets are empty, you can enjoy spots around Vietnam in comfort. Some places in Dalat, Sapa, beaches or big cities are usually full of crowds, but not at Tet. In big cities, there are still buses running around. It’s such valuable time with public transportation in Vietnam because they are all overloaded every day of the year except Tet. To travel around, make sure that you have got maps and enough foods. The most practical vehicle in Vietnam is the motorcycle. Let’s hire one if you want to cruise every corner of the city. You must check the websites for your destination to ensure that it’s opened during the holiday. People will not fill the street at 8 a.m to offices or schools. As a result, all entertainment parks, shopping centers and restaurants are closed. Luckily, you can have meals at homestay or hotels where you live. Make sure that you made the reservation. Vietnam is famous for street vendor and favorite street foods. 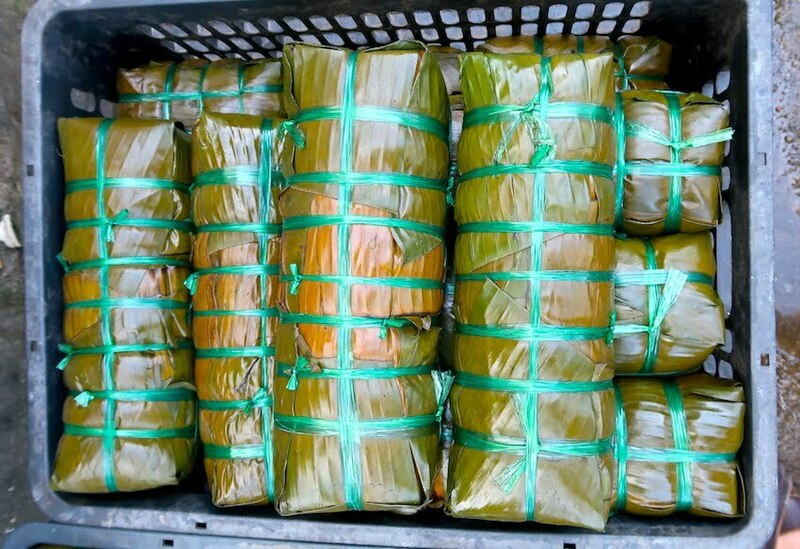 However, you cannot enjoy these specialties while traveling to Vietnam during Tet holiday. Public transport in Vietnam is buses. Payment for tickets will not rise. However, you should expect fewer routes a day. Traveling by motorbikes is possible for anyone. Hiring a scooter in the city costs about 200,000 dongs per day for a 2 million for two weeks. It’s convenient and mobile for a couple or solo Travelers. Airports and stations are flooded before and after Tet. Some people in Vietnam want to take advantages of the long holiday to travel. In general, flying during special occasions like Tet cost a fortune. However, it’s the most convenient and fastest vehicles to make a move in a short vacation. Tickets for trains climb up, too. However, they are still much cheaper than flight boarding passes. It’s also the reason why the train becomes full of reservation very fast. It’s entirely possible to travel along Vietnam by train and bus. However, schedules during the Tet might change slightly. Plan your route at least one month in advance and make the reservation for rooms and coaches as soon as possible. Besides, the price might be lower. Read more about transport in Vietnam here. If you are invited for a feast by a Vietnamese family on this occasion, it’s such a blessing to your trip. 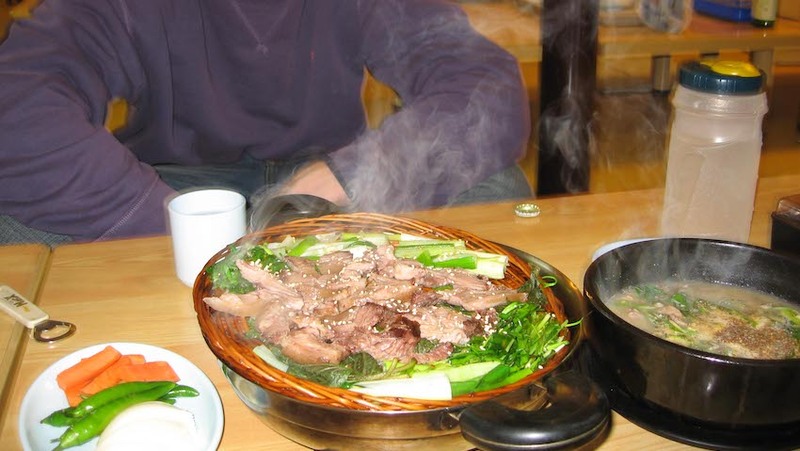 In the meals of the new year, traditional cuisines are spreading over the table. The speciality is Chung cake which is made from sticky rice. Other dishes are spring rolls, Vietnamese sausages with mushrooms, soup, salad and many other offers. You will have a snack with dried and sugared fruits. However, the meals are full of meat. If you are not yet used to Vietnamese recipes, you might get fed up with the menu soon. You might rarely find these dishes at western restaurants even during the vacation. 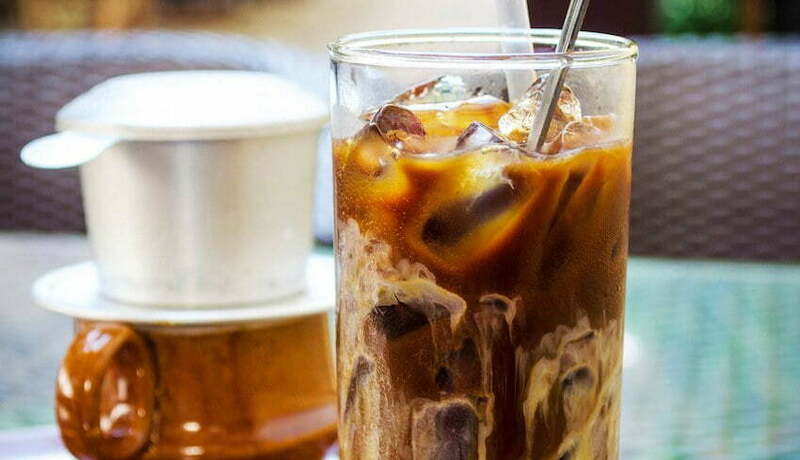 Each region in Vietnam has its own specialty for Tet. Each food keeps a meaning. What should expat do while traveling to Vietnam during Tet holiday? Based on the situation, should you travel to Vietnam during Tet holiday? If you think it could be tedious and expensive day-offs, we could say the reverse. Let’s enjoy the Tet in style! We highly recommend an adventure through days before New Year’s Eve. It’s no time of the year when you could feel the atmosphere and smell the pleasant aroma like this. It’s only once a year, even to Vietnamese people who still feel excited when this occasion knocks the door. Let’s spend the time to walk around local markets. In Hanoi, we have Dong Xuan market and Ben Thanh market in Sai Gon. You might find a lot of shopping malls releasing sale programs for the festival. Nevertheless, the local markets are the best place to watch flowers, bonsai and breathe in Tet air. You will see children following their parents to fashion shops for new cloth. Middle-aged men rush for last shipping orders. Candies and sugared fruits are all in front of any shops. It’s another atmosphere from daily business. Everyone seems busier within rush and smiles. There are some destinations where you can enjoy Tet holiday in Vietnam if the City bores you with empty streets. At stations or airport, you might see touching scenes when people reunite. People step off the trains with loads of presents. The whole country floods in emotions, crying and laughing. Hoi An is an ancient town in the middle of Vietnam. It’s not only Tet, but any time of the year, you can sense the tradition here. Hoi An with 24/7 homestay and the open street welcome any expats to come and enjoy the Tet of Vietnam. At Hoi An, there is still that atmosphere, but this small street will bring you more joy. Most stores are still open during the Tet holiday, and people go down the road as usual. From the Old town, you can reach Danang city and many other spots nearby by bus. Renting motorbikes here is cheap and comfortable, but the price might rise during the vacation. 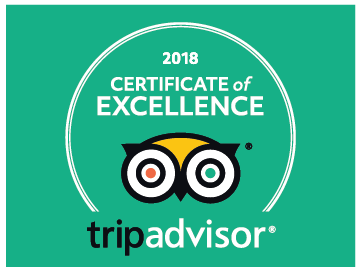 See our Hoi An Food tour here. Sapa reflects the highest mountainous area in Vietnam where it’s the coldest place to travel. At Sapa, you will immerse in the festive scene with native people. Sapa is the home for ethnic groups in Vietnam where it performs the Tet holiday differently. Reaching Sapa from Hanoi by bus or train is easy. Routes are every day so you are not worried about out of tickets. At Sapa, you have chances to enjoy the fantastic view from The Indochina’s rooftop – The Fansipan mount. Unlike Sapa, Dalat is softer for busy Tet. 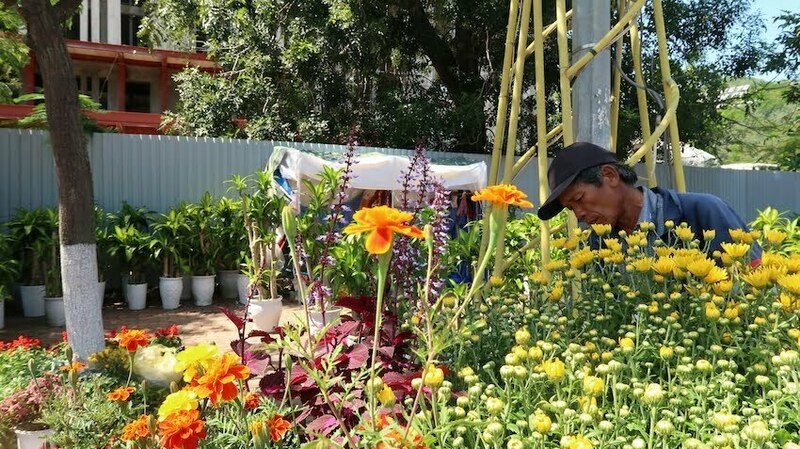 At Dalat at this time, you will be surprised with colorful flowers all over the city. Many spots in Dalat ask you to queue to check in, now during the Tet; it’s all released. We can reach Dalat by flights or buses. However, the flight tickets would be extremely costly during the vacation. Do you have your decision yet? During Lunar New year in Vietnam, Travelers might be confused about everything. When the country welcomes New Year differently from the world, it’s no doubt that expats feel lost. However, by the ultimate guide for traveling to Vietnam during the Tet holiday above, we hope that you have turned your hesitation into determination to fight here. Let’s explore our country by another lens. 100% Vietnamese, my passion is traveling and running projects related to tourism. I'm here to share what I know about Vietnam for travelers. Steamed Dog meat "Your not going to eat that are you?"